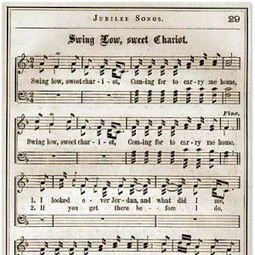 The historic American spiritual “Swing Low, Sweet Chariot,” with its emotional overture and poignant lyrics, is credited to Wallace Willis, a former slave in nineteenth century Indian Territory. “Swing Low, Sweet Chariot,” after its debut to worldwide audiences in the late-1800s, has since been re-recorded by such noted musicians as Eric Clapton, Peggy Lee, Johnny Cash, B.B. King and more. 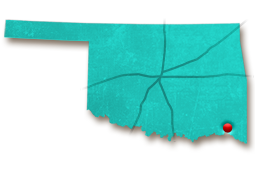 Wallace’s musical prayer of hope, which was created in the cotton fields of Oklahoma’s old Choctaw Nation, went on to become Oklahoma’s official state gospel song. “Swing Low, Sweet Chariot” earned its place in the prestigious National Recording Registry, as well as the “Songs of the Century” list created by the National Endowment for the Arts and the Recording Industry Association of America. The story of Wallace Willis begins on a plantation in Holly Springs, Mississippi. Wallace “Uncle” Willis and his wife, Aunt Minerva, were slaves of Britt Willis, a wealthy half-Irish, half-Choctaw farmer. When the Choctaws were relocated by the United States government as a result of the Treaty of Dancing Rabbit, Britt Willis walked the Trail of Tears with his Choctaw wife to Oklahoma’s Indian Territory. Among the 300 slaves that made the trip with Britt were Wallace and Minerva. And so “Swing Low, Sweet Chariot” was born. The mournful lyrics are a classic example of black spirituals of the time period – songs that were sung by slaves toiling under back-breaking labor in the fields. Taken at face value, the lyrics of “Swing Low, Sweet Chariot” express hope that divine help was on its way. Most historians also attribute a secret meaning to Willis’ lyrics with many arguing that they were used as a coded message about escaping the shackles of slavery and heading north. It is written that some slaves would even change the lyrics to “Swing Low, Sweet Harriet” in reference to Harriet Tubman, who was the leader of the Underground Railroad that ferried slaves north to freedom. During this time, Reverend Alexander Reid arrived in Doaksville to serve as superintendent of the Spencer Academy, a position he held from 1849 to 1861. While serving as superintendent, Reid grew to love the music of Wallace and Minerva. However, when the Civil War began and Reid’s wife tragically died in childbirth, Reid returned to his hometown of Princeton, New Jersey while Wallace and Minerva made their way to Old Boggy Depot with the help of John Kingsbury, son of Reverend Cyrus Kingsbury, with some of their children for protection during the war. Two years later, in 1871, the Jubilee Singers of Fisk University, an African American a cappella ensemble, gave a performance in Newark, New Jersey while on a fundraising tour for educational work among the freedmen (emancipated slaves). The performance was attended by none other than Rev. Alexander Reid. In an announcement to the audience, the leader of the Jubilee Singers, Professor G. White, indicated a lack of material and a need to repeat songs in subsequent performances. Even Queen Victoria requested an encore of Wallace's "Steal Away to Jesus" during a performance of the Fisk Jubilee Singers. Upon hearing this, Reid remembered the spirituals composed by Wallace and communicated this information to Professor White. White, thrilled to learn of the existence of more “plantation songs,” agreed to have Reid teach them to the Jubilee Singers. From memory, Reid recorded the words of various songs by Wallace Willis and sang them repeatedly to the group. Soon, Wallace’s songs became standard performance fare throughout America and Europe. Even Queen Victoria requested an encore of Wallace’s “Steal Away to Jesus” during a performance of the Fisk Jubilee Singers. 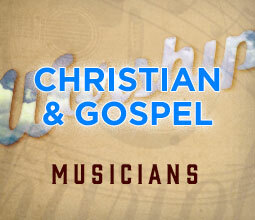 Over the years, the music composed by Wallace Willis has been heard throughout the world through countless performers. Folk singer Joan Baez famously performed “Swing Low, Sweet Chariot” during the historic Woodstock festival in 1969, which reiterated Wallace’s lyrical themes of oppression during the Civil Rights movement of the 1960s. Wallace Willis’ musical contributions live on far past Civil War America – his songs of hope, freedom and faith continue to resonate with generations of each passing era. Although Civil War-era documentation surrounding Wallace Willis is scarce, it is often reported that Willis and Minerva lived out their lives in Old Boggy Depot after slavery came to an end in the U.S. Most historians believe Wallace is buried in an unmarked grave located within the slave burial section of the old Doaksville Cemetery. Along with "Swing Low, Sweet Chariot," what other spiritual is Wallace Willis credited with composing? "I'm a' Rollin', I'm a' Rollin'"